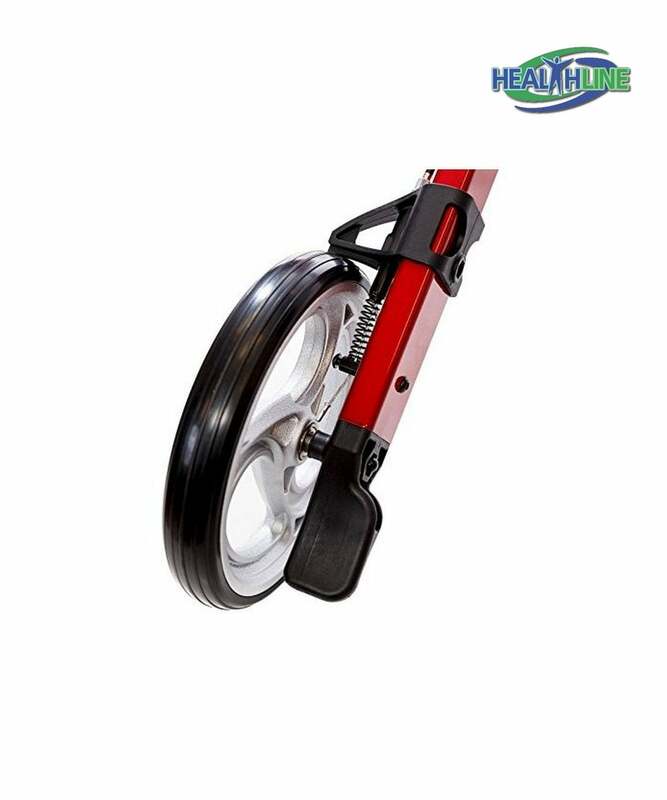 The ADJUSTABLE HANDLE HEIGHT of this lightweight rollator walker makes it easy to adjust the height of this device to fit its owner. The handle height easily adjusts with a unique push button. 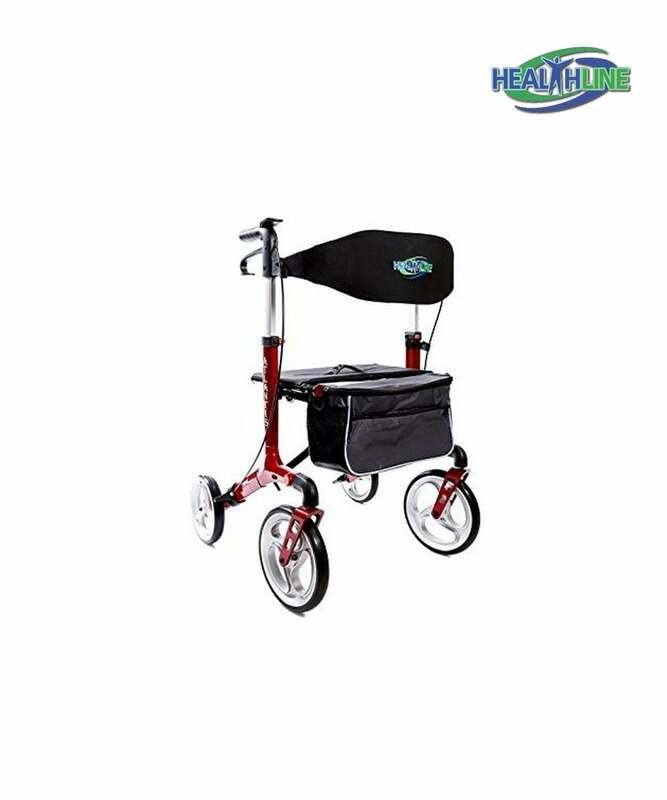 The CONVENIENT STORAGE BAG of this rollator for seniors or disabled adults is made of durable fabric and is easily cleaned. The unique removable zippered storage bag attachment keeps the bag securely in place. This Atlantis Red Walker rollator HAS A SEAT WITH A HANDLE for rest and comfort, and includes a cane holder. 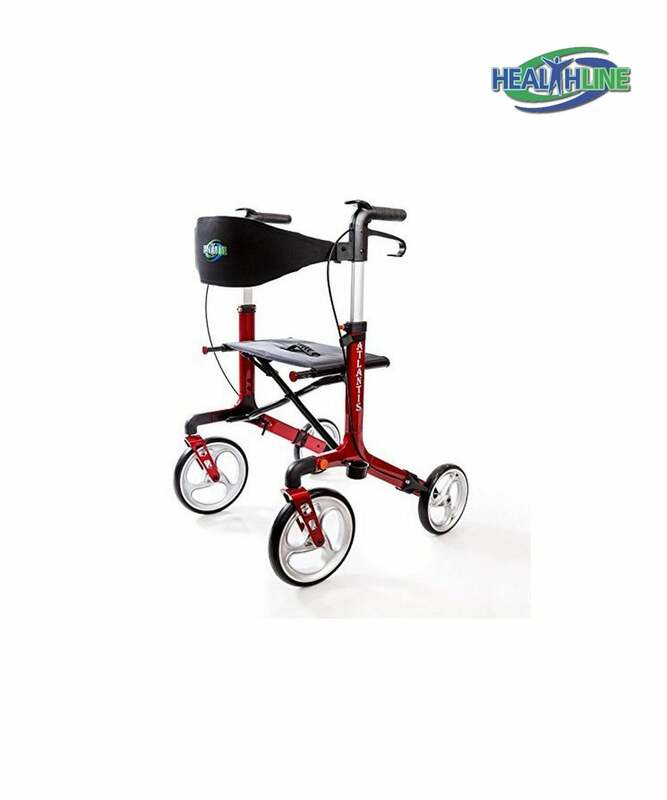 Atlantis is the best rollator walker for those in need of walking support. It is maneuverable and lightweight, easily folded for storage or transportation purposes. This item is well made of durable aluminum alloy frame and is usually bought by people who have elderly family members or those who just underwent a surgery. 10 inch front casters perfom reliably and consistently. Weighs 16 pounds and handles up to three hundred of weight capacity. A convenient push-button mechanism allows for swift height adjustements to fit its owner perfectly. 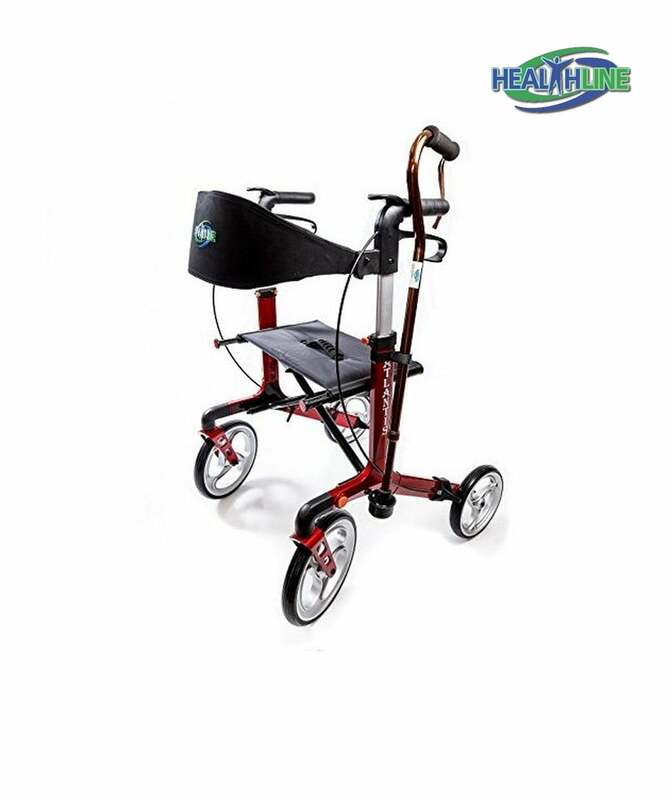 A comfy backrest and a convenient seat with handle make this rollator an on-the-go essential. A handy storage bag attaches to the bottom of the seat and provides a user with easy to access storage space. 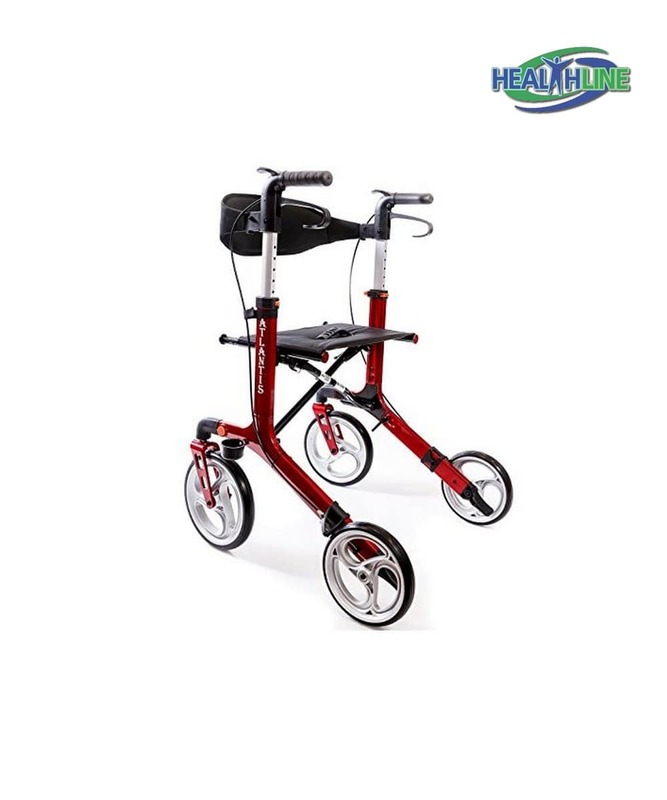 I saw this rollator while looking up walkers for mobility on the internet. Loved the unusual solution for back support and the price turned out to be very low. I’m satisfied with this purchase. The rollator provides me with sturdy support, and it was easy to assemble the product. Thanks for the detailed video.